The National Weather Service has issued both a Flood Watch and a Coastal Flood Advisory for the Borough of Avalon and the Jersey Shore for Monday, November 26th. The Flood Watch is in effect through late Monday night; the Flood Advisory is in effect until Monday afternoon. An approaching storm is expected to bring nearly another inch of rain to our region. Street flooding is possible from the rain, and there is the potential for some minor tidal flooding at time of high tide on Monday. High tide Monday will occur on the back bays at approximately 9:49am and minor tidal flooding is anticipated. Moderate to heavy rain is expected to move through the region Monday afternoon through Monday evening. The water table is high due to recent rainfall, including over an inch of rain Saturday and Saturday night. Do not drive on a flooded street. This creates a wake that can damage private and public property. The water is often deeper in the street than it appears. Wind gusts will approach 25mph in the afternoon. Contractors should secure job sites, and property owners should secure objects prone to gusty winds, including trash cans and patio furniture. FLOOD WATCH IN EFFECT FROM MONDAY MORNING THROUGH LATE MONDAY NIGHT… The National Weather Service in Mount Holly has issued a * Flood Watch for portions of northern Delaware, northeast Maryland, New Jersey, and southeast Pennsylvania. * From Monday morning through late Monday night * Moderate to heavy rain will move through the watch area Monday through Monday evening. Areas within the watch received 3 to 4 inches of rain Saturday night into Sunday and area creeks, streams, and rivers are all running high. Additional, heavy rainfall may result in more flooding across the watch area. * Leaf clogged drains and coastal flooding could further exacerbate flooding issues. River flooding may continue into Tuesday, well after the heavy rain has ended. 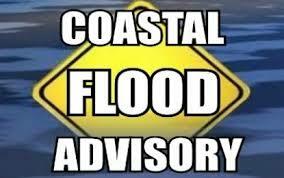 …COASTAL FLOOD ADVISORY IN EFFECT FROM 8 AM TO 2 PM EST MONDAY… The National Weather Service in Mount Holly has issued a Coastal Flood Advisory, which is in effect from 8:00 AM until 2:00 PM Monday. 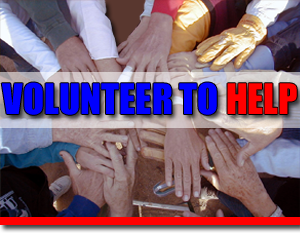 * LOCATIONS…Coastal areas of southeastern Burlington County, Atlantic County, Cape May County and Cumberland County. * TIMING…High tide on the New Jersey oceanfront occurs between 9:00 AM and 10:00 AM Monday morning. High tide on the back bays and along Delaware Bay occurs later than the high tide on the oceanfront. * COASTAL FLOOD IMPACTS…Up to one foot of saltwater inundation above ground level is possible in low-lying areas near shorelines and tidal waterways. Roadway flooding is expected. * WAVES…Wave heights on the ocean waters off the coast are expected to be 3 to 5 feet. PRECAUTIONARY/PREPAREDNESS ACTIONS… A Coastal Flood Advisory means that minor tidal flooding is expected. Minor Tidal flooding often results in some road closures. Usually, the most vulnerable roadways will flood. 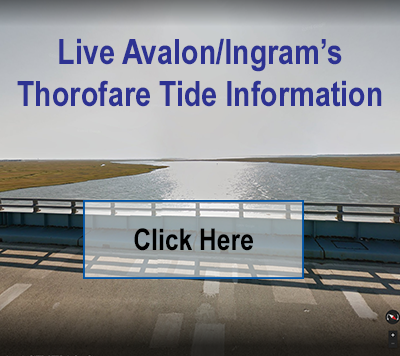 Do not leave your vehicle at a location that is prone to tidal flooding. Do not drive your vehicle through flood waters. The water may be deeper than you think it is. You will be putting yourself in danger and your vehicle may be damaged, leading to costly repairs.